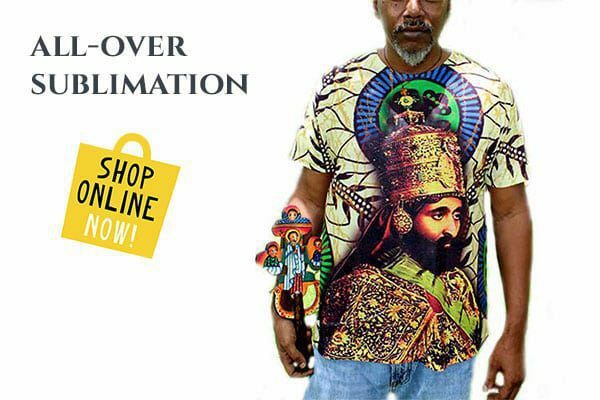 We would like to take this opportunity to honor one of our Patriarchs, Melaku (መላክ Melak “Angel”) Emmanuel (עִמָּנוּאֵל AmanuEL “with us is The Mighty One”) Bayen (ብይን “Judicial Decision”). Although, Melaku was commissioned by the Order of H.I.M. 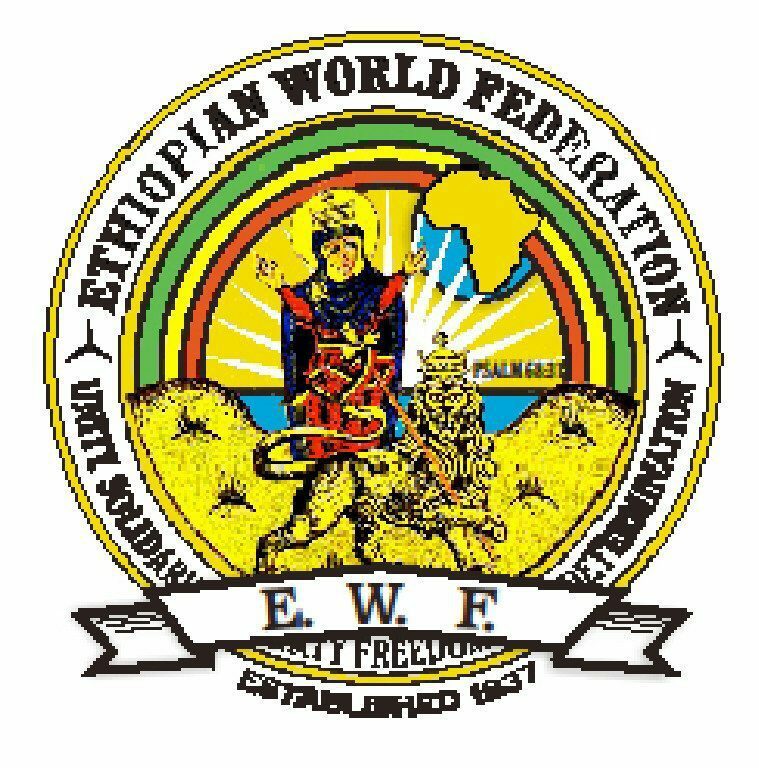 Haile Selassie I to establish the Ethiopian World Federation to organize and centralize Ethiopians in the global diaspora, his story is, sadly, one that often goes untold. We hope that more of us, within the RasTafari Community, will begin to rightly recognize the immense contribution of Dr. Melaku Emmanuel Bayen and perhaps even see how his time on earth is prophetically revealed. May his soul be blest and rest in the bosom of Abraham. Melaku E. Bayen (Haile Selassie I’s second cousin and personal physician), born on April 29, 1900, in Wello Province in central Ethiopia. His father was Grazmatch Bayen and his mother Woizero Desta, who was the first cousin of Lidj Tafari. His parents moved to Harar, when he was a baby. The young Melaku was raised and educated in the compound of Ras Mekonnen, then the Governor of Harar and the father of Lij Tafari (the future Emperor Haile Selassie I). In accordance with the aristocracy’s custom of educating and training likely young boys for positions of leadership, young Melaku was placed under the tutelage of Lij Tafari and taught by priests. He was attached to Ras Mekonnen‘s royal court. Melaku lived close to Lidj Tafari (crowned Haile Selassie I King of Kings of Ethiopia, on the world stage on November 2nd 1930), serving as both his page and personal attendant in the royal courts of Harar and later of Addis Ababa at least for a decade. Life in the royal court taught young Melaku strict discipline and gracious protocol. On January 19, 1921, with permission from Haile Selassie I (Ras Tafari at the time), Melaku was sent to India along with two young men and a woman for preparatory studies under private tutors from Great Britain. The sudden death of the young woman left Melaku and his compatriots devastated, hence making their stay in India unbearable. 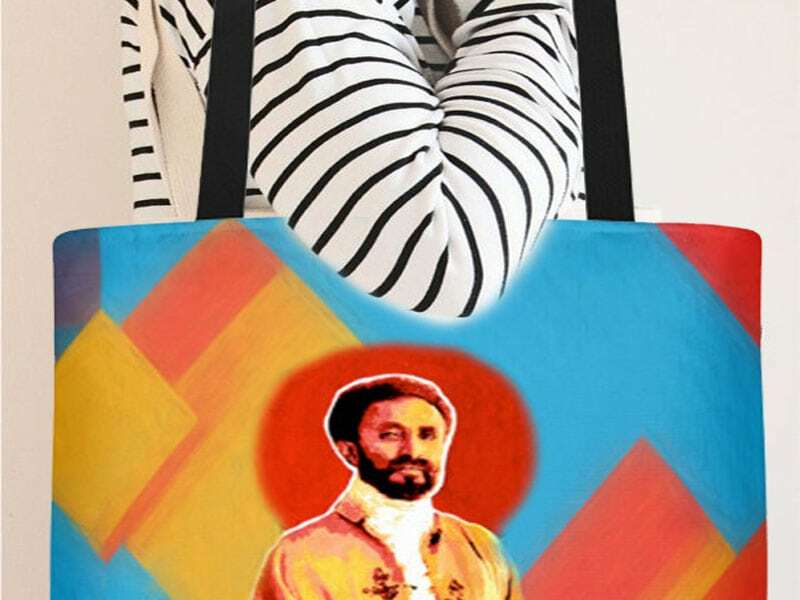 So they appealed to Ras Tafari to permit them to pursue their studies in the United States, where imperialistic designs on Africa seemed absent. The students’ request was granted. In 1922, Melaku enrolled at Marietta College, where he obtained his bachelor’s degree. In 1928 Melaku enrolled at Ohio State University in Columbus as a graduate student of chemistry. A year later, he was admitted to the Medical School at Howard University, one of the nation’s most prestigious black educational institutions. It is cited that Melaku’s decision to enroll at Howard University, in Washington D.C. was based on his desire to be close to Ethiopians who lived there. Melaku wanted to create a new bond between Ethiopia and the African Diaspora. Melaku attended the coronation of the Conquering Lion of The Tribe of Judah, Haile Selassie I, Elect of GOD, King of Kings of Ethiopia (Hebrew King of Israel, upon the Throne of David) on November 2, 1930 in Addis Ababa and traveled back and forth many times accompanying African American recruits for various jobs and briefing Haile Selassie I on the situation in the United States. At Howard, he co-founded the Ethiopian Research Council in 1930 with Professor Leo Hansberry, one of the pioneers of African studies in the United States. (Leo Hansberry would become the recipient of Haile Selassie I’s Trust Foundation Prize in the 1960s.) After the Italian invasion of Ethiopia, Melaku focused less upon recruiting skilled Afro-Americans for service in Ethiopia and more on mobilizing black American support for his country. After graduating from Howard medical school in June 1935, Dr. Melaku had originally intended to remain in the U.S. to complete his internship, but the serious situation in Ethiopia caused Haile Selassie I to recall him. Thus, on July 10, 1935, the physician departed for Ethiopia with his wife, Dorothy, and young son, Melaku Jr.. There, Dr. Melaku’s duties at the American Mission Hospital in the capital and later with the Ethiopian Red Cross in the Ogaden, brought him into intimate contact with the war. Meanwhile, the war went badly for the Ethiopians. When it became clear in late April 1936 that it was senseless to attempt to defend the capital, members of the Imperial Council persuaded Haile Selassie I to leave the country for Geneva to make a final appeal to the League of Nations for support. When the Italian Army captured Addis Ababa, Melaku‘s family went to England and later to the United States to fully campaign for Ethiopia. Melaku and his wife Dorothy Hadley, created a newspaper called Voice of Ethiopia to simultaneously denounce Jim Crow in America and fascist invasion in Ethiopia. 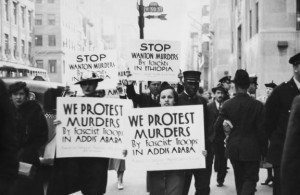 News of Ethiopia‘s plight fueled indignation and furious debates among African Americans. In Harlem, Chicago, and various other cities African American churches urged their members to speak out against the invasion. Melaku founded and published the Voice of Ethiopia, the media organ of the Ethiopian World Federation and a pro-African newspaper that urged the “millions of the sons and daughters of Ethiopia, scattered throughout the world, to join hands with Ethiopians to save Ethiopia from the wolves of Europe.” Melaku founded the Ethiopian World Federation in 1937 and it eventually became one of the most important international organizations, with branches throughout the United States, the Caribbean, and Europe. The Caribbean branch helped to further solidify the ideological foundation for the RasTafari Movement. Melaku established at least 28 branches of Ethiopian World Federation, an organ of resistance calling on Ethiopians and friends of Ethiopia throughout the United States, Europe, and the Caribbean. Touched by Haile Selassie I‘s speech at the League of Nations, and Melaku‘s impassioned message, blacks vowed to support Ethiopia. Melaku Bayen and his African American counterparts remained undeterred for the remainder of Ethiopia‘s struggle against colonization. In 1940, a year before Ethiopia‘s victory against Italy, Melaku Bayen succumbed to pneumonia, which he had caught while walking door-to-door in the peak of winter, speaking boldly about the war for freedom in Ethiopia. His tireless and vigorous campaign, however, contributed to the demise of Italian colonial ambition in Ethiopia. Melaku strove to bring Ethiopia back into the African world. Melaku sowed the seeds for a “re-Africanization” of Ethiopia. Furthermore, Melaku was a model Pan-Africanist who brought the Ethiopian and African American people together through his exemplary work and his remarkable love and dedication to the African people. Girma Abebe(Dr.) – Melaku E. Bayen: The first Ethiopian to earn an American degree. 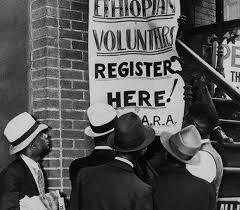 Ethiopian Register. Ayele Bekerie (Dr.) – The Case of Melaku E. Bayen & John Robinson. Tadias Online Magazine. April 18, 2007. Malaku E. Bayen Ethiopian Emissary to Black America:originally written by William R. Scott, is hereby reprinted with additional notes, commentary, factual dates and times, and the overall life’s mission of H.I.M. 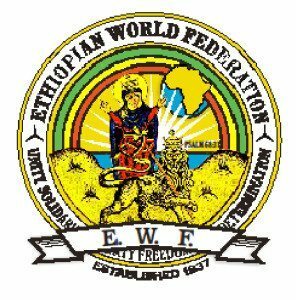 Haile Sellassie I’s cousin and personal physician, herein supplimented by the author and compiler with rare historical details, namely the founding and 75 year history of the Ethiopian World Federation, Incorporated on August 25, 1937, in New York City, United States of America.